Thursday 10.27.11: snow had been falling at altitudes above 1200’ for much of the day, it wasn’t until dusk that the rain turned to snow in the lowlands of downtown Norwich. 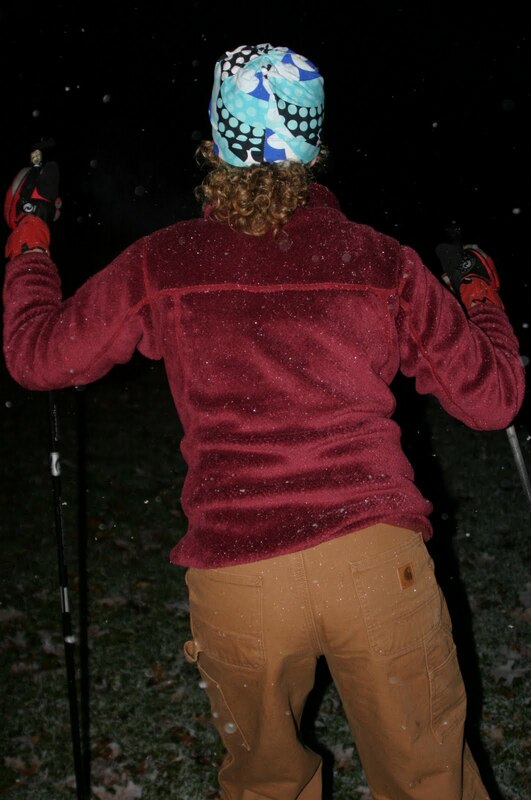 By 7:00 pm there was full snow cover on exposed surfaces and at 7:12 pm JNT skier Caitlin declares herself to be the first skier on snow this season east of the Rocky Mountains. The course was short and the duration brief, but, hey… first tracts. If you want to contest the claim for first tracks east of the Rockies, digital photo with date stamp please.